The Pebble Hil Plantation is the epitome of timeless, southern charm! Located just above Tallahassee in Thomasville, Georgia, you have the feeling of being in a private, secluded location while still being close to home . Everywhere you turn there is some kind of gorgeous spot for photos. 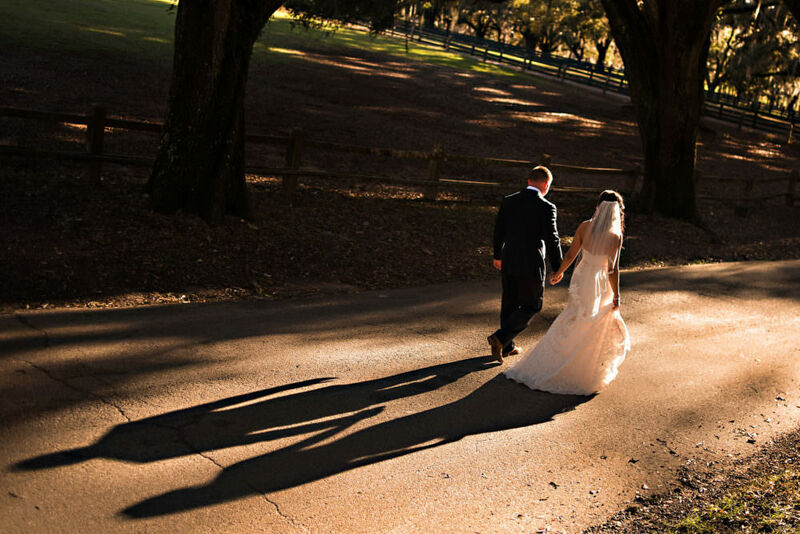 Whether it be the breathtaking mossy oak and magnolia lined pathways, ivy covered brick walls or even just the beautiful historic architecture, there’s never a dull backdrop! We just love it when the moss lights up from the sunset light, making for the most romantic images. If you’re looking for a venue that is both relaxing and visually stunning, The Pebble Hill Plantation is a must have wedding venue location for you!